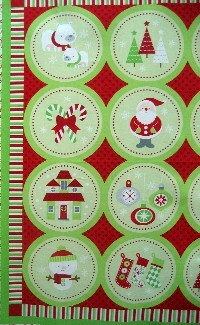 Fabric: Home for the Holidays Collection pg 4 - Home for the Holidays Collection is by Riley Blake. 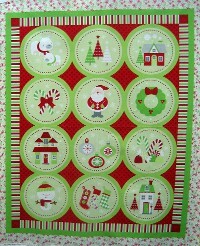 Home for the Holidays Collection is by Riley Blake. 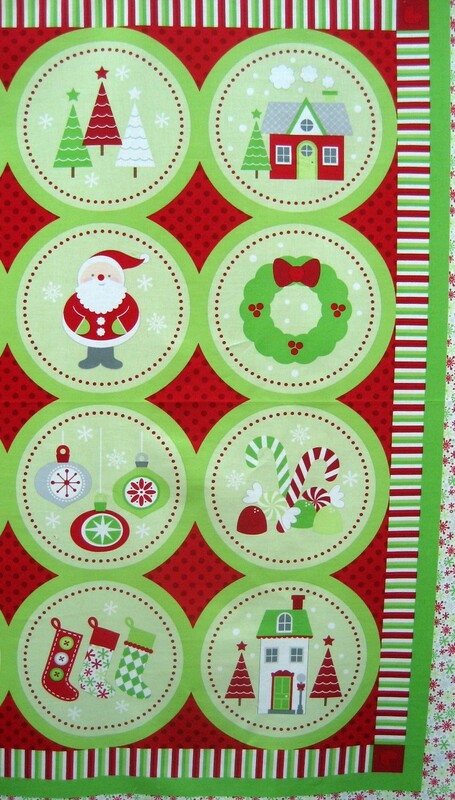 This bright colored panel has twelve circles with a different Christmas picture in each.